- try 5 quick and easy tips to improve your mental health. This app is simple to use and brightly coloured and seems quite appealing. 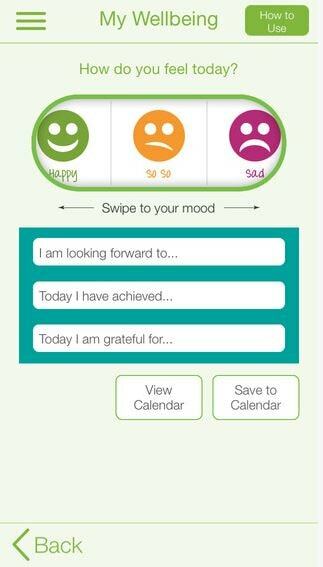 I liked the calendar feature on the app that prompts people to think about positive aspects of their day rather than tracking their current mood. I like how in the different sections, it goes onto more depth. I think the Body Map is a great section to have, as a certain health issue can affect your body in different ways. Honestly, I think this app is excellent - can't fault it! 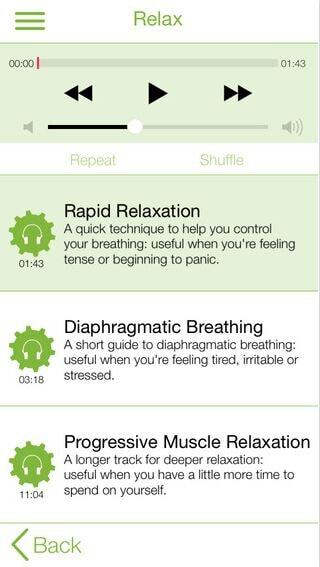 The interactive parts were cool (the game, breathing exercise recordings and the mood monitoring) and easy to use. It was also great to see physical symptoms linked on the body to show the impacts of anxiety/stress/depression in a straightforward way. 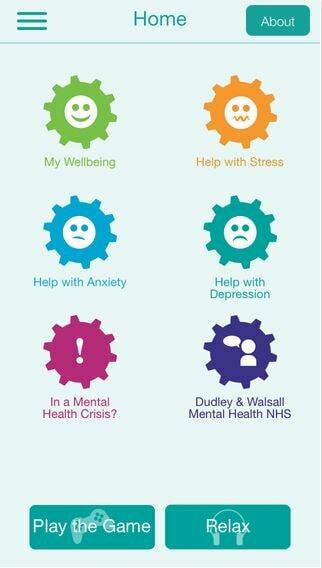 I would have liked there to have been more specific self care activities for each of the mental health issues or links between the sections and the activities. It also would have been good if it was made clear where the crisis numbers provided were for (one presumes the UK) and to look up those relevant to your area.